There is a lovely interview with ‘The Watchmaker’s Apprentice’ Roger Smith on his website at the moment, which was conducted following the film screening at Tribeca Cinemas for the Horological Society of New York. 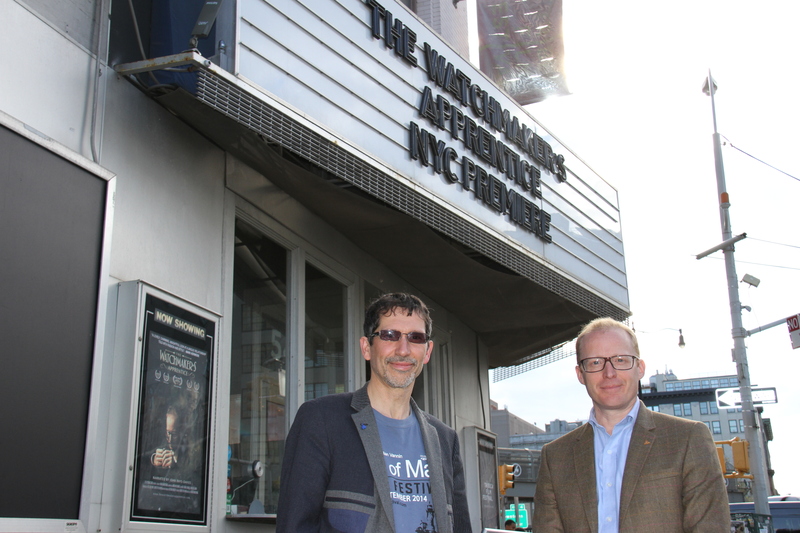 Pictured below: Dave Armstrong (Director) and Roger Smith at Tribeca Cinemas. With thanks to Nicholas Manousos.